This is the perfect gift for your green fingered friend. Packed with all things bright and beautiful you have everything you need to make a great garden. 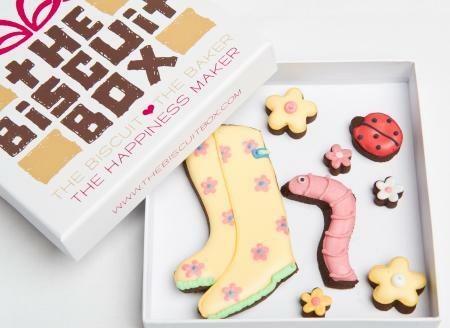 From mini ladybirds to wellies all our biscuits are hand iced onto our super chocolatey biscuits. So now you can enjoy gardening from the comfort of your living room! This tin contains approximately 27 biscuits of various shapes and sizes, beautifully displayed over three layers in our How Does Your Garden Grow Tin. 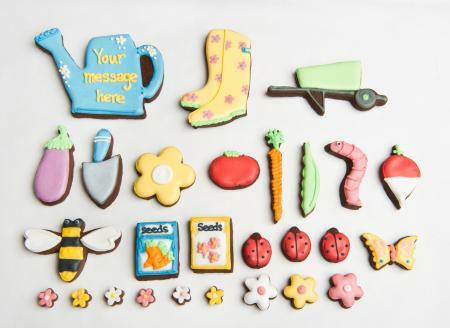 This great gardening themed biscuit card can be used for any occasion simply enter your message and it will be iced onto the watering can. This biscuit card contains approximately 6 biscuits of various shapes and sizes presented over one layer and displayed in our branded biscuit card box. 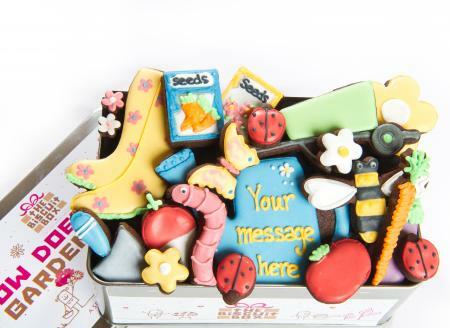 Our Wonderful Wellies Biscuit Card will bring a smile to anyones face. There's no need for a rainy day, these can be eaten anytime come rain or shine! 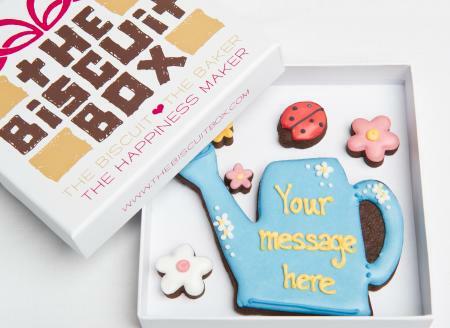 This biscuit card contains approximately 8 biscuits of various shapes and sizes all displayed over one layer and presented in our branded biscuit card box.